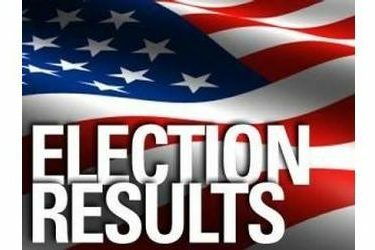 Kay County voters followed statewide trends in Tuesday’s midterm election, with most voters supporting Republican candidates. In Kay County, the Republican candidate for Governor, Kevin Stitt, received 7,853 total votes (absentee mail, early voting and election day ballots), compared to Democrat Drew Edmondson with 4,579 votes and Libertarian Chris Powell with 547 votes. Matt Pinnell, Republican candidate for Lieutenant Governor, received 8,836 votes, compared the Democrat Anastasia Pittman with 3,555 ballots and Independent Ivan Holmes with 526 votes. Republican Mike Hunter received 9,108 votes for Attorney General, with Democrat Mark Myles taking 3,760 ballots. State Treasurer Republican candidate Randy McDaniel took 9,432 votes to Independent Charles deCoune’s tally of 2,709. Republican Joy Hofmeister got 8,221 total Kay County votes for Superintendent of Public Instruction, compared to Democrat John Cox’s 3,594 votes and Independent Larry Huff’s 1,075 ballots. Republican candidate for Commissioner of Labor, Leslie Osborn, received 8,370 votes compared to 3,377 for Democrat Fred Dorrell and 696 votes for Independent Brandt Dismukes. Republican Glen Mulready tallied 8,758 votes for Insurance Commissioner compared to 4,020 for Democrat Kimberly Fobbs. Republican Corporation Commissioner Bob Anthony earned 8,348 votes in Kay County compared to 3,634 votes for Democrat Ashley Nicole McCray and 860 votes for Independent Jackie Short. Republican U.S. Representative for District 3, Frank Lucas, retaineded his seat for 9226 total votes from Democrat Frankie Robbins’ 3,678 votes. Several nonpartisan judicial positions were decided Tuesday as well. Kay County voters chose Lee Turner District 8, Office 1, with 7,587 votes, over Thomas E. Salisbury with 4,110 votes. Supreme Court District 2 judge Patrick Wyrick was retained with 6,959 yes votes and 4,581 no votes. Supreme Court District 3 judge Noma D. Gurich was retained with 6,821 yes votes and 4,687 no votes. Supreme Court District 4 judge Yvonne Cauger was retained with 6,942 yes votes and 4,580 no votes. Supreme Court District 7 judge James E. Edmondson was retained with 6,600 yes votes and 4,979 no votes. Court of Criminal Appeals District 1 judge Dana Kuehn was retained with 7,071 yes votes and 4,406 no votes. Court of Criminal Appeals District 4 judge Scott Rowland was retained with 6,859 yes votes and 4,562 no votes. Court of Criminal Appeals District 5 judge David Lewis was retained with 6,847 yes votes and 4,581 no votes. Court of Criminal Appeals District 4 Office 1, judge Barbara Green Swinton was retained with 6,971 yes votes and 4,445 no votes. Court of Criminal Appeals District 5 Office 1 judge Kenneth LL. Buettner was retained with 6,833 yes votes and 4,542 no votes. Court of Civil Appeals District 5 Office 2 judge Robert Bobby Bell was retained with 6,800 yes votes and 4,588 no votes. Court of Civil Appeals District 6 Office 1 judge E. Bay Mitchell III was retained with 6,825 yes votes and 4,575 no votes. Court of Civil Appeals District 6 Office 2 judge Brian Jack Goree was retained with 6,782 yes votes and 4,637 no votes.